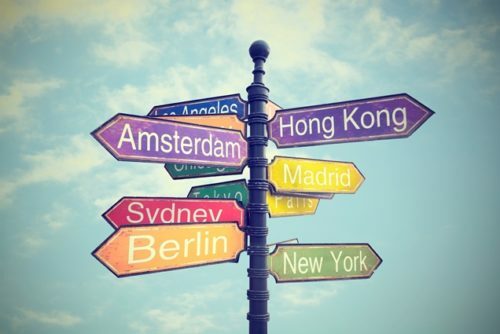 Have you recently made the decision to move abroad, but need help with this change? Rightly so, as this is a major event, with coordinating the logistics of transporting your belongings, sorting out customs, and adjusting to a new country. Luckily, a removal company will help with moving abroad. Read about the costs, process, and other useful tips for your move here. Quantity of items: Shipments are measured by weight and volume, so the more items you have, the higher the cost. Distance: The farther the destination, the higher the transport costs. Transport route: Busy and common shipping routes tend to be cheaper because of increased competition amongst transport companies. Method of transport: There are different modes of transport, each with its own advantages and disadvantages. 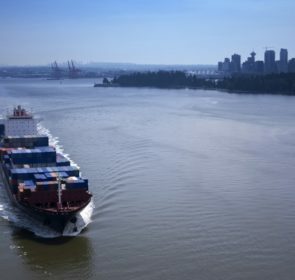 In general, airfreight is the costliest while sea shipping is the cheapest method. There are many more factors that will affect your international move cost. As such, pinpointing an exact price is difficult. Your best course of action is to receive a proper quote from an international moving company for a more complete breakdown of costs. However, it is helpful to have a general idea before making any calls. This table shows the range of prices for different shipping options and popular relocation destinations. Other services include moving pets, vehicle transport, and assistance with adjusting to your new surroundings. These are additional costs that will vary depending on the thoroughness of the service you require. Because of the 4 main factors for calculating prices, as well as the numerous services that apply to your international move, you cannot calculate exact moving abroad costs without consulting removal companies. However, rather than calling many movers, which is time-consuming, why not gather their prices at one time? By providing your information below, a non-binding quote request will be sent to international movers, 6 of whom will get back to you with their best price offers. Take 1 minute of your time to fill out the form and save up to 40%! Leave the hassle to your removalists! This involves everything before your possessions’ transportation to your new country. Ranging from disassembly and cleaning, to packing and loading, movers make your big day simple. Transport by plane. While it is the most expensive method, it is also very quick. Transport by air is generally great value for a small amount of items. Full Load: You hire an entire container for exclusive use for your move. The size is perfect for your 3-4 bedroom house. Your house contents are driven directly to your new residence. Shipping containers are the least expensive form of transport and are incredibly effective ways of moving a large amount of items. Depending on the route and your final destination, shipping times will vary, anything as short as 3 days to 6 weeks. Full Container Load (FCL): You reserve an entire 20 or 40 foot container for the contents of your house. With direct transport to a port in your destination country, FCL is a perfect match for larger moving projects. Less than Container Load (LCL): Your belongings, enclosed in a wooden crate, shares a container with other shipments. A 3rd party, usually a consolidator, arranges the LCL and is cheaper than FCL. Groupage: Your items are also placed in the same container with multiple other shipments. However, these other loads belong to other customers of the removal company. The absence of 3rd party fees make this type inexpensive, but groupage is much slower than FCL or LCL. After your shipment reaches its port destination, your valuables will then be moved to your new home usually by lorry or rail. At this point, movers will unload your belongings, as well as other services such as unpacking, cleaning, or various handyman work. For any move, especially for relocating overseas, you need a company who you trust completely. That is why it is of utmost importance to properly vet movers and their credentials, capabilities, and reliability. Here are some things to ask or keep in mind when looking for an international removal company. If you know someone who moved abroad, ask them about their situation and how they managed to make the move possible. They will give you valuable information on good (or terrible!) experiences with moving companies. Of course it is always a good idea to begin planning early for moving house. However, for moving abroad, it is even more important—just think of all the things you need to pack and the actual shipping time. Rather than the usual 1 month notification given for a domestic move, contact companies at least 3 months before your preferred day. Of course, the earlier you start, the better! Look for a company who is a member of the Fédération Internationale des Déménageurs Internationaux (FIDI). Membership means that the company complies to strict quality requirements and continually passes a recurring assessment by an independent auditor. Get at least 3 estimates for your move abroad. You will be able to compare price, services, and availability to narrow down your options. 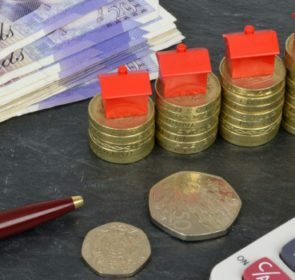 While the cost is very important, do not just choose the company with the lowest quote since you need to take into account their experience and credibility to prevent any unexpected costs later on. Go to our dedicated moving house quotes page for more details. If you are unsure or have any questions, go ahead and ask! 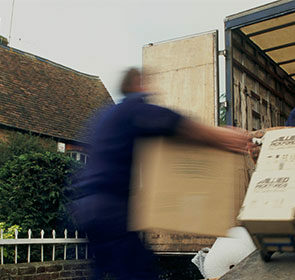 Removal companies are more than happy to help to make you feel at ease. It is also in your best interests to communicate clearly and regularly with the removal company to ensure that all details and services match what you need. We know that a move to another country is not just about transporting your prized possessions—there are so many other things to think about. 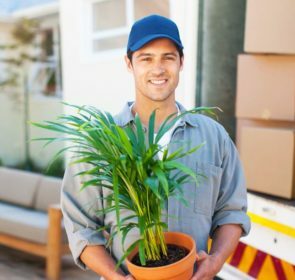 With a trustworthy removal company, you will have more time for these other tasks. Movers help make your move very straightforward by coordinating with shipping companies, supplying storage facilities, and even providing for relocation services such as temporary accommodation or language training. To reap these benefits, start searching for specialists now! Our free, no-obligation quote request will give you price estimations from up to 6 companies. 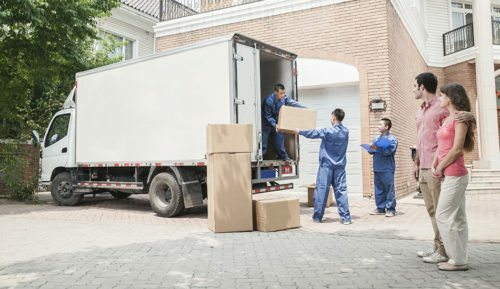 Easily determine the right company for you—whether you are crossing 15,000 kilometres across an ocean or relocating to a European country, moving abroad is made easy with a removal firm.